You have a problem. Your cat is thinking outside the box, and not in a good way. You may be wondering what you did to inspire so much “creative expression.” Is your cat punishing you? Is Fluffy just “bad”? No, and no. House soiling and missing the litter box is a sign that your cat needs some help. According to the Winn Feline Foundation, house soiling is the number one complaint among cat owners. The good news is that it is very treatable. An accredited veterinarian can help you determine if the problem is medical or related to social or environmental stressors. In addition to a complete physical exam, the doctor will ask you specific “where and when” questions. Health factors Tony Buffington, DVM, PhD, a specialist in feline urinary disorders at The Ohio State University, and founder of the Indoor Cat Initiative says that many veterinarians recommend a urine test for every cat with a house soiling problem. The urinalysis will determine if blood, bacteria, or urinary crystals are present — signs that your cat might have feline lower urinary tract disease (FLUTD). FLUTD is very common and can cause painful urination. Cats that begin to associate the litter box with pain will avoid it. Other medical possibilities include hyperthyroidism, kidney disease, diabetes, and arthritis and muscle or nerve disorders that might prevent your cat from getting to the litter box in time. Environmental factors If there is no medical cause, the next step is to look at environmental factors. Start with the litter box. 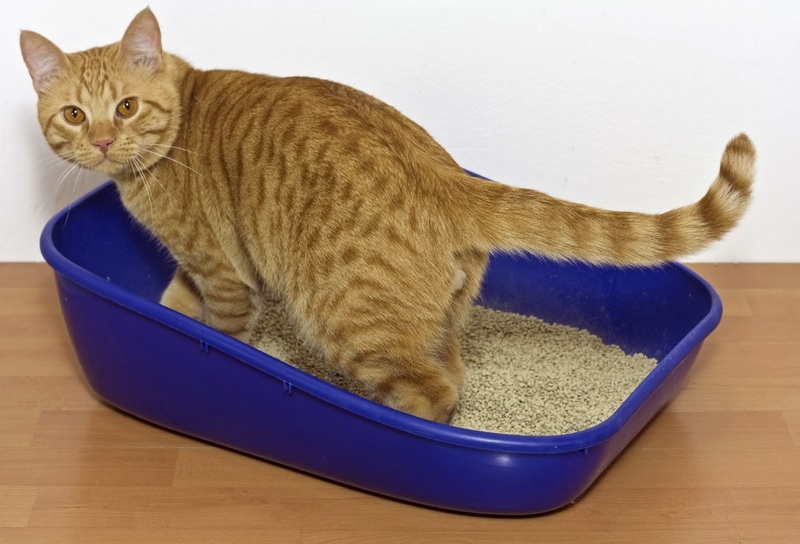 Your cat might be avoiding the litter box because it is not cleaned well enough, you’ve changed the type of litter you use, or there is only one box for multiple cats. Another possibility is that your cat is “marking” — spraying urine, typically on vertical objects such as walls and furniture, or in “socially significant” areas near doors or windows. Both male and female cats mark. The most common offenders are cats that have not been spayed or neutered. Buffington says that stress can cause elimination problems too. For example, subtle aggression or harassment by other house cats or neighborhood cats may be an issue. Even unremarkable changes in your home can make your cat anxious or fearful. Look around. Did anything change right before your cat started having problems? Did you get a new pet? A new couch? Maybe you just moved the old couch to a different part of the room, or had a dinner party. Cats are sensitive creatures and changes that seem small to you can throw your cat off his game. Check with your veterinarian about finding solutions that work for both you and your cat.